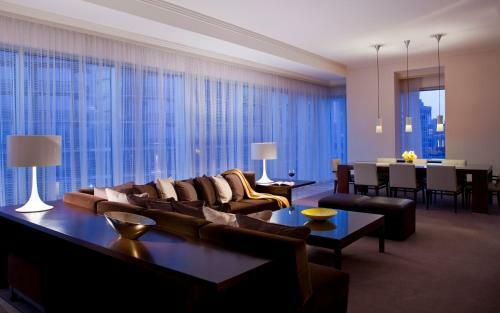 Rooms from $179.10 per night. Description This Atlanta, Georgia hotel has free internet access, non-smoking guest rooms, an on-site restaurant and free breakfast. This hotel is also pet friendly. 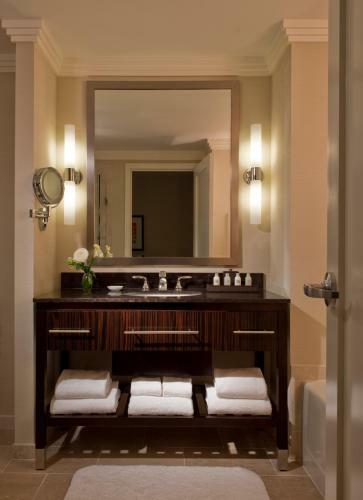 A luxe downtown hotel with top-notch amenities a destination restaurant and a famous-name spa the non-smoking Loews Atlanta Hotel earns high marks from our guests for its fine service. Guests at the Loews Atlanta enter a minimalist lobby that creates a feeling of serenity with its smooth surfaces and black-and-white design scheme. The attention to relaxation continues in the high-rise hotel's 414 rooms and suites each designed with modern furnishings punctuated by bright pops of color. Rooms feature oversize desks floor-to-ceiling windows with city views plush bathrobes and sumptuous bathrooms with signature toiletries. Free Wi-Fi and wired high-speed internet access coffeemakers mini-bars and flat-panel TVs in both bedrooms and baths are also standard. The Loews houses a branch of the renowned Exhale Spa offering a mix of holistic treatments and products as well as an upscale restaurant a market where guests can pick up a gourmet picnic basket-to-go and a trendy lounge featuring creative cocktails and live local music. A business center a modern gym with a hot tub and 24-hour room service are other conveniences and indoor valet parking is available for an additional fee. NOTE: The hotel will be undergoing renovations from May 2 through August 2018; no amenities or services should be affected during this time. 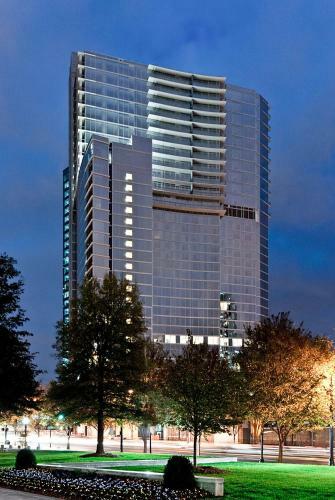 The Loews is located on Peachtree Street in Midtown with easy access to the city's Fortune 500 corporations and leading law firms. The hotel is within walking distance of cultural venues that include the Woodruff Arts Center the High Museum of Art and the legendary Fox Theatre. Georgia Institute of Technology is within a five-minute drive. Hartsfield Jackson International Airport is less than 15 miles from the hotel. 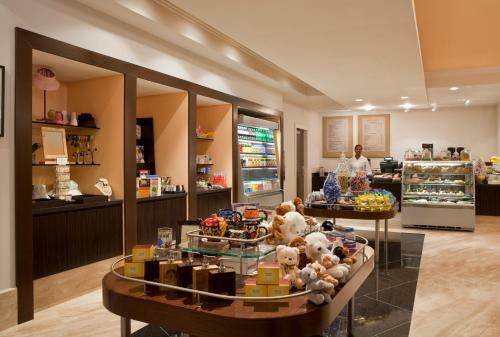 Add Loews Atlanta Hotel to your free online travel itinerary.